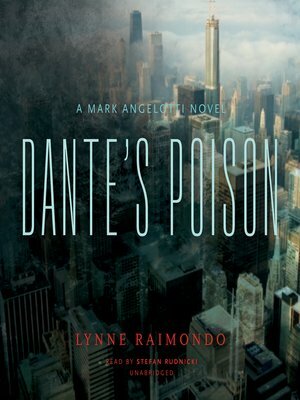 The second installment in the thrilling Mark Angelotti crime series.Blind psychiatrist Mark Angelotti has just enrolled in a drug trial that holds out hope of restoring his eyesight when he again becomes entangled in a case that is rocking the Chicago legal community.After defending the manufacturer of the powerful antipsychotic drug Lucitrol against product-liability claims, attorney Jane Barrett has become somewhat of an expert on the controversial medication. So when her lover, investigative journalist Rory Gallagher, collapses from a fatal dose of the same drug, it falls to Hallie Sanchez, Barrett's oldest friend, to defend her on murder charges.Amid growing doubts about her friend's innocence, Hallie recruits Mark Angelotti to help her discredit the testimony of a crucial eyewitness. The pair succeeds in obtaining Barrett's release—but at a dreadful price.Mark sets out to investigate who else may have wanted the journalist out of the way. As he gets closer to the truth, he realizes the killer is still on the loose. But two questions remain for Mark: Will the drug trial succeed in restoring his eyesight? More important, will he live long enough to see this case to its end?